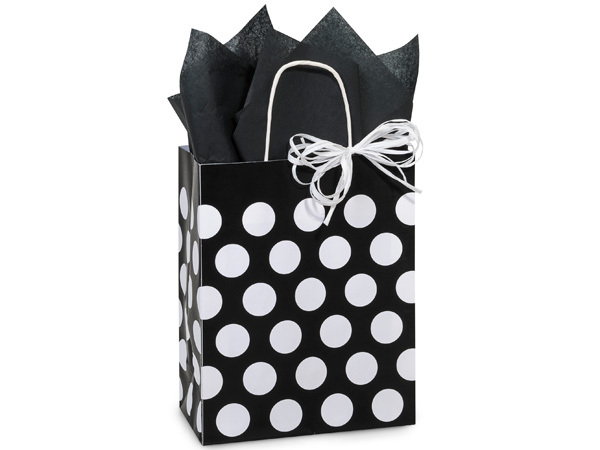 Cub Black Polka Dots Recycled 25 Pk Bags 8-1/4x4-3/4x10-1/2"
Cub size Black Polka Dots Shopping Bags by the 25-Pack are made from 100% recycled white kraft paper. Green Way® Eco-Friendly Packaging. 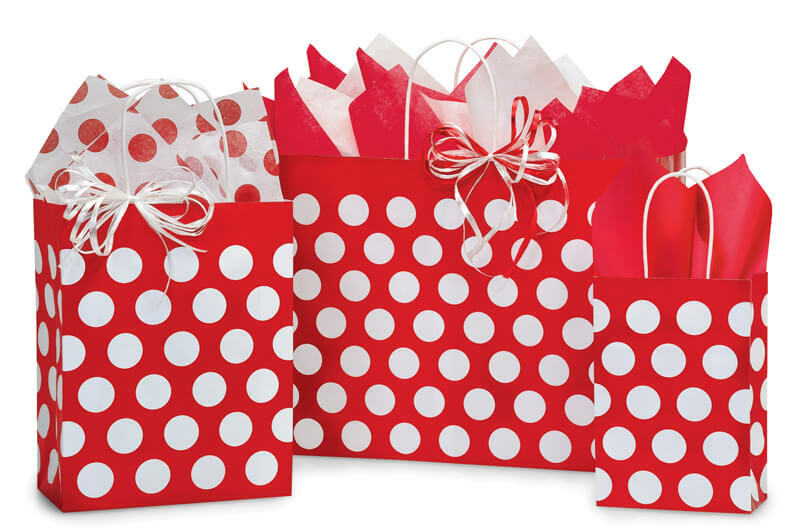 Bags are 100% recyclable and contain minimum 50% post consumer recycled content.